Every deck has a plan. Whether it’s running you over fast or two-for-one-ing you into oblivion doesn’t matter; they all want to do something. And that “something” changes depending on the opponent’s plan, which is why information is so valuable. We’re card players. We know that. We know we can bluff-attack our smaller unit into our opponents larger one, because we know about cards like Finest Hour, and we know our opponent does, too. We understand the “bluff” that’s going on in that exchange. So sometimes we bluff. We are on a quest for value, and we understand that falsifying information is a great way to further that quest. If we call that Finest Hour bluff a sort of “Level One” strategy, what then are some steps we can take to go beyond? In a meta-game where cards like Shakedown and its old friend, Sabotage, are so prevalent, there is a lot of bonus value to be gained by simply doing things that the rest of the meta is not doing. If you’ve ever put a discard spell into your own deck, then you may have had a good idea what you were looking to grab with it. “I’m weak to Harsh Rule… maybe I’ll run some Sabotages,” you said to yourself. The more games you play, the better you “learn” your deck, and its matchups against the other decks in the meta. You learn what cards matter and when. You learn by making mistakes. Maybe the first time you played against control, you took their sweeper only to have them draw several extra cards, and find more sweepers. Now instead you take their card draw. Experienced players have already done all of this matchup learning. They already know how to pilot their deck against the other viable decks in the format. What this means for us and our quest, is that by playing a deck, or even a card, that the other decks aren’t playing, gives us an advantage. When your opponent casts [Shakedown] and sees cards they aren’t used to seeing, all of their value in learned matchups goes out the window. Now they’re back to the beginning, and they don’t know whether to take the sweeper or the card draw. Now they’re discarding your [Sword of Icaria], having no idea that your plan was to recur it from the void for value. 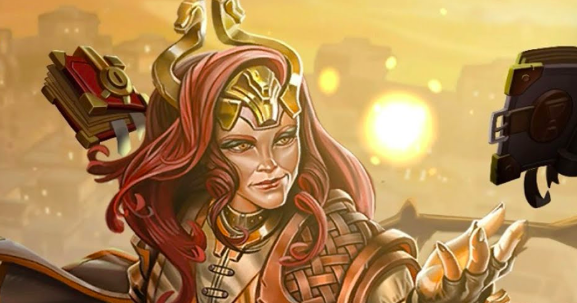 If you’re anything like the average ladder-goer, then it may be news to you that you can misrepresent the deck you’re playing depending on the way you sequence your power drops. My experience is anecdotal (and by that I mean I am sitting on 1,000+ hours of play time, so size your grain of salt appropriately), but I see an almost pathological need for players to get their power fixed as soon as possible, regardless of what’s in their hand. You’re playing Temporal Control now (post balance updates). 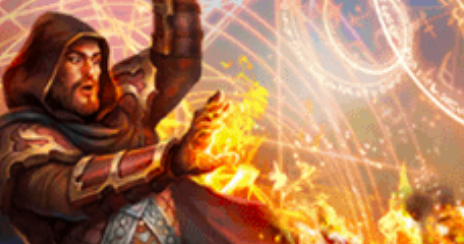 One of the big bads in the format is Combrei aggro. If your opening hand gives you the option, you should definitely lead with your Combrei power. If you aren’t casting anything that requires Primal influence, you should keep dropping your Combrei power for as long as is viable. Your opponent is expecting to play against Combrei aggro. You show them what they’re expecting to see, and all of the sudden they’re scouting like they’re playing against Combrei aggro. They’re playing their first few turns looking for Vanquish or Vara, Vengeance Seeker or whatever it is that turns out are bad against you and your control deck. Let’s talk about Diplomatic Seal, and to an even greater extent, Trail Maker. These cards let you add influence of ANY faction! These are cards found often in popular and powerful decks! Have you played these cards? Have you ever added a color of influence that you didn’t need to cast cards in your deck? Have you done it ENOUGH? Why not? Don’t get me wrong, if you have Heart of The Vault and don’t yet have a clear path to TTTFFF, then I understand you need your own factions. But I’m looking at you, Xenan tokens. You’ve got a turn two Trail Maker, and you already have a second Shadow influence in your hand, so why not add a fire influence instead? Maybe now all of the sudden your opponent is playing around a Rally that you’re never going to cast. Maybe now they’re sabotaging you before you drop a merchant to grad an Obelisk, because they’re afraid of Assembly Line. Pretending to be Praxis when you’re actually Xenan can have a real effect on what your opponent does. Maybe that effect isn’t as significant as having a Seat come into play depleted on turn four, fine. But you know what? Sometimes it is! There are a non-zero number of situations where you will get a bigger advantage from leading with Time sigils and Trail Maker for Fire influence, than leading with your Xenan Seat. “But delarkius,” you say, “what about tournaments like the ETS, or any tournament where decklists are ‘open information’?” Naturally in this case we can’t bluff cards that we don’t have in our deck. This brings us back to level one, and that Finest Hour. We can play at drinking poison with the Sicilian all day. Opponent knows we’d rather cast our three-drop than waste the turn on a pump spell. But they also know we’d be fine using the pump spell if we had another two-drop to follow it up. And so on. If you’re taking advice from the first section of this article (or, like most card game players, the Love of Jank Nonsense lives deep within your secret heart), then you’re playing at least a few cards that the rest of the players aren’t playing. Sure, you lose out on your surprise Lock Horns when your opponent can read about it before the match, which is significant, but it’s no less novel. If they haven’t played against it before, they are still more likely to make a mistake in your favor. When decklists are open, you can’t pretend to be Combrei aggro when you’re Temporal control. However, your power sequencing still matters a great deal. A simple example: Would you play your third 3-health unit into your opponents 3 power with 2 Primal influence? Maybe not. Maybe you’d be too worried about Hailstorm. If, however, they only had 1 Primal influence? You might still hold back, just in case. But then again… The difference matters, and in a game where everyone is roughly 50% to win any given match, those differences add up. This wizard prefers tournaments where decklists are not public information. It seems like a practice born out of necessity for paper game environments, where information can be available to some but not all. Maybe one player brought several nosy friends to the tournament with them, whereas someone else didn’t. This problem doesn’t exist the same way in a video game, and the information gleaned from matches shown on stream, or between two friends or teammates who happen to both be seeded in relevant positions to help each other, seems to me to be negligible enough not to warrant opening everything to everyone. Frankly though, that opinion comes more from a personal want for surprising turns than from any studied review of what might be best for the game, so take it for what it is: the rantings of an old wizard trapped in a cursed tower forced to write articles about card games to remain sane. Maybe none of this is news to you. Maybe when you have Equivocate in your hand, and you don’t want anything new from your market, you already switch it out for the Equivocate that’s in your market just so your opponent thinks you got something you didn’t have before. And I’m not saying you should misrepresent all the time either. What I’m saying is you should do it more, for as long as is possible before your Seats come into play depleted (and even sometimes after that). What I’m saying is in a meta where FPS scream and Feln midrange are both viable, there should be a lot more games where I don’t know which deck I’m playing until turn three. So I invite you to go further. I invite you to find new ways of misinforming your opponent, of misrepresenting yourself. Of making your opponent scratch their head and go “huh?” when they cast a discard spell against you. Because what feels better than that?